It’s that time again. I’ve got a niggling feeling inside that is screaming ‘fill me with adventure’. I’ve forgotten the pain of the last expedition and coated my memories with Insta filters and I’m itching for the next one. But where to go? What to do? The options are endless which should be exciting….but I don’t feel excited. Instead, I feel a sense of dread. Because deciding what to do next can be an annoyingly long and frustrating journey. Something that will keep me up for hours and mince my brain until it hurts because I. Just. Can’t. Decide. What. To. Do. I call it adventure indecisiveness! I’ve got a little better at making decisions and not stressing myself out (too much) about what to do next. Instead, I break it down into 2 stages. The first is actually coming up with new ideas. The second is honing in on those ideas and forming a complete expedition (which I will talk about in my next blog). So let’s focus on the first step – where do I find inspiration to come up with new adventure ideas in the first place? Practicalities, logistics, money, etc play a factor in the next stage. At this point, it is just about getting creative and letting your mind wander freely. Journalling not only helps you sort through your thought process but looking back over ideas you had a year ago is a great tool to have to hand. Colours and doodles encouraged. Trawling through limitless opportunities and seeing all the cool things other people are doing can go either way when it comes to your mood. This is meant to be a fun thing though so try to hold on to the good feelings. What adventures have other people done? 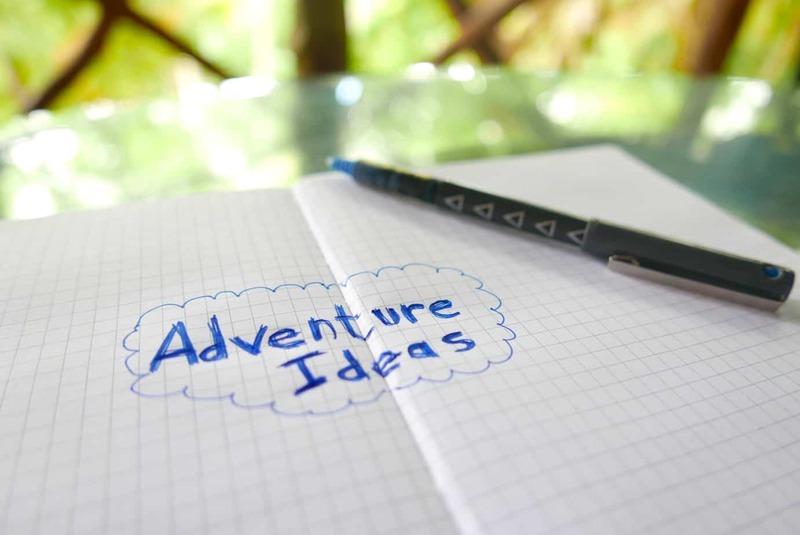 I’ve already done a lot of the groundwork for you here as I put together 100+ adventure ideas – basically a list of 100+ people that have been on awesome adventures. I even use this list myself still (although I’m sure I know them all and their adventures by heart now!). Read through the list and see what catches your eye. Check out the websites and what other adventures they have been. It’s a great way to get the juices flowing and to work out what sort of things excite you. Following your favourite adventures on social media is a great way to ensure your feed in inspiration ready. There are so many to mention but to get you started, here are some adventurers that I follow…. I’m not exaggerating when I say this – staring at a map for a prolonged period of time has become a weekly occurrence. Look for areas that draw your attention and for those countries that you always wanted to visit. What interests you outside of adventure? Think about things or people or stories that inspire you and write them down. Volunteering, being a support for an expedition or joining a team is a great way to go on an advenutre. Seeing what else is out there will help spark new ideas and who knows what doors may open. I recently wrote my thoughts and advice on going on an adventure for good cause and since then have started to think of more creative ways to be charitable with my expeditions. It is how I came up with the idea for Paddle Pickup (a Love Her Wild expedition kayaking the width of the UK picking up plastic pollution and raising awareness on the topic). The obvious choice is using your adenture for fundraising. But there are other ways you can make your expedition count. How about carrying out research like Better Not Stop – on a mission to find out about happiness in the world. Could you connect your expedition to science research? What about raising awareness on an important topic? Like Kate Ra\wles on her bamboo bike talking about conservation to anyone who will listen. Or giving back in other ways. 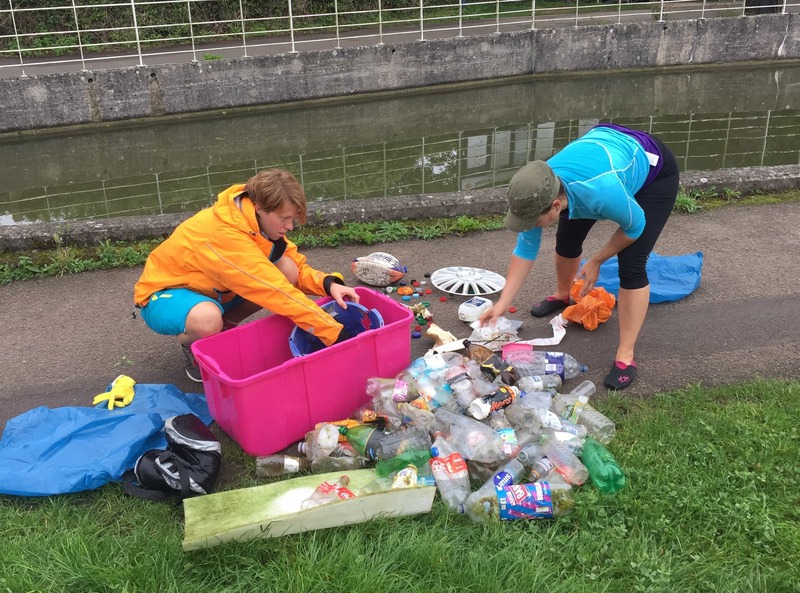 There’s conservation work – picking up plastic (have you seen the guy litter picking his way around the UK?) or maintaining tracks. 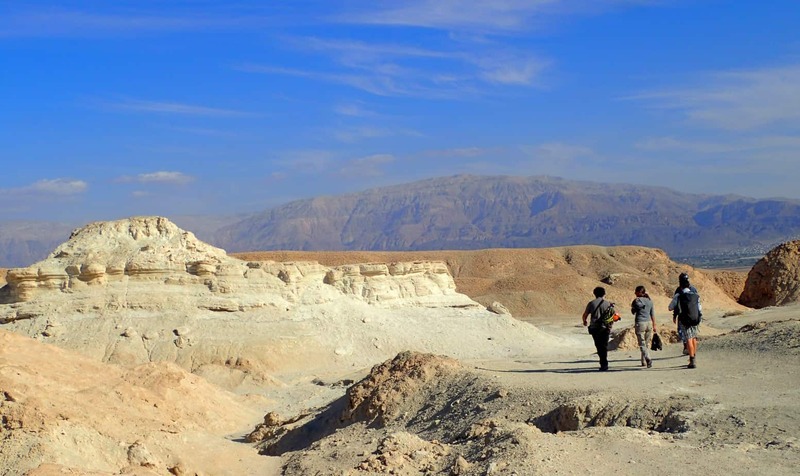 Sharing your skills or services as you travel – check out Richard and the Glass Passport Project – swapping his photography skills for travel, accommodation and food). Nothing beats meeting up with adventure folk to bounce ideas off each other. If you are wondering where you can find them, how about joining an adventure club like the Yes Tribe, Love Her Wild or Explorers Connect who all run meetups. Get some fresh air, be in nature, get the blood flowing…..that’s where the magic really happens! With your new ideas and inspiration for your next adventure, it’s time to be realistic. Try asking these 7 questions to work out what the right adventure is to do next. If you’ve found this useful and want to keep up with future adventures, follow me on Facebook, Twitter and Instagram. Excellent article and loads of useful info too- I’ve found more groups to follow and events I didn’t know existed! Choice can be a very real problem… I have so many adventures I want to do but don’t know which one to do next, as if I do one, I can’t then do the other- although I guess it’s a nice problem to have! Hi Bex, just came across your blog and love it. I lived in Bristol for years – your kayak trip sounded amazing. Just wanted to say thanks for this blog. I’m itching for a big adventure but struggling to get the idea straight, and the guts to do whatever it is! This was really helpful advice. We are actually running another Paddle Pickup this year although will be kayaking the length of Wales this time (you can find the info on the adventures page on http://www.loveherwild.com) if you’re interested.